Sean Szymkowski October 16, 2018 Comment Now! Hennessey Performance Engineering is always working on the next best thing. And by next best thing, we mean the next fastest car or SUV. 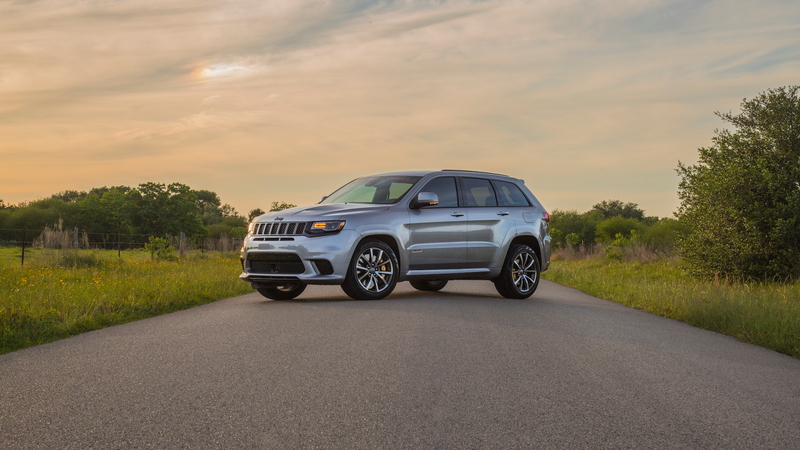 Case in point is the company's HPE1200 package for the Jeep Grand Cherokee Trackhawk. On Monday, we brought you a video of Hennessey's HPE1000-enhanced Grand Cherokee Trackhawk destroying a Ford GT in the quarter-mile. Now we have a video of the HPE1200-enhanced version running the quarter-mile in a time of 9.66 seconds. Yes, this is a 9.0-second family hauler. 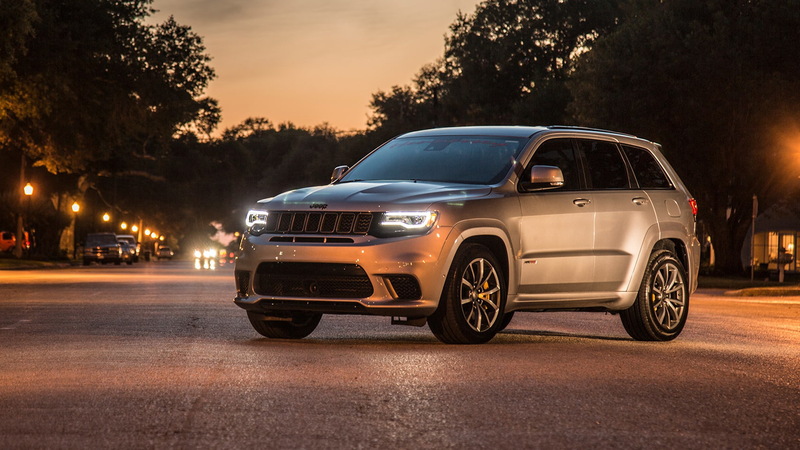 To achieve the feat, the HPE1200 Grand Cherokee Trackhawk is generating 1,003 horsepower and 892 pound-feet of torque at the wheels, which neccessitates 22 psi of boost and 109-octane fuel. 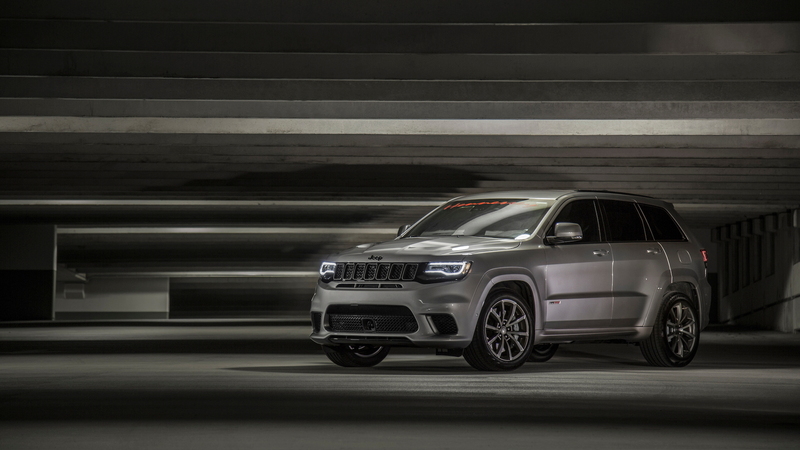 The Grand Cherokee Trackhawk is already one quick SUV in factory form with 707 hp from its Hellcat 6.2-liter supercharged V-8. Hennessey dials things up with a 4.5-liter supercharger, upgraded pistons, rods, ported cylinder heads, camshaft upgrade, and long tube stainless steel headers. The high-performance SUV also clocked a 145 mph trap speed on its way down the race track and 0-60 happens in a Demon-like 2.3 seconds! We're still wondering how the all-wheel-drive system handles the extra power. 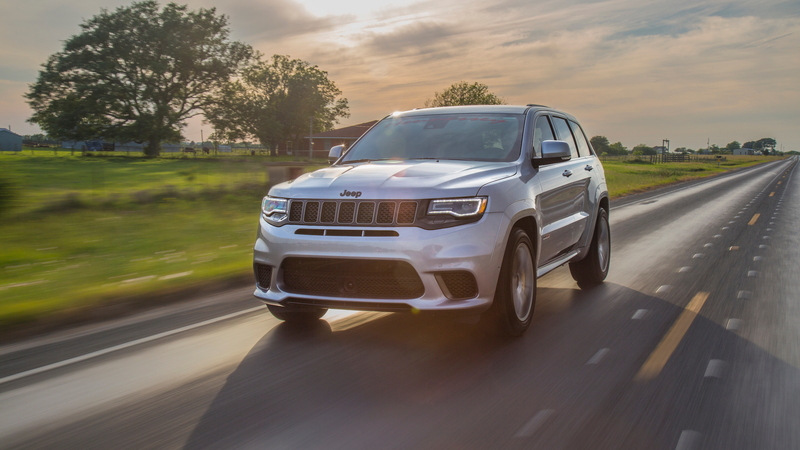 Jeep was already concerned with 707 hp flowing to all four wheels, so the automaker modified the full-time active transfer case with forged steel chain sprockets and a wider chain. The tuning company didn't mention any upgrades to the all-wheel-drive system, but it has developed a special rear-wheel-drive mode. To ensure the best traction from the Nitto 555R 275/40-20 drag radial tires, Hennessey developed the RWD mode for days at the drag strip. Drivers can heat up their tires with a burnout, and after the smoke show, AWD comes back online with the flip of a switch. The thrills don't come at a bargain. Hennessey plans to build 24 units of its range-topping Grand Cherokee Trackhawk, and the base price for each is a cool $179,000. 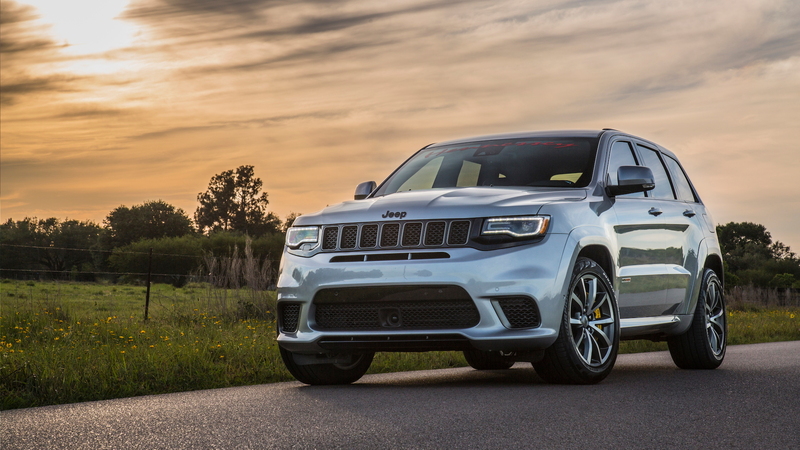 However, the price includes a standard Grand Cherokee Trackhawk to undergo the modifications.